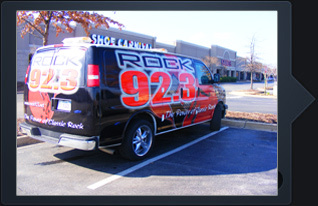 Custom Vinyl Vehicle Wraps in Jackson TN! Pro Image offers custom high quality Digital Graphics Design. Whether you want to put your logo across the back of your company vehicle, or cover the entire vehicle in a custom vinyl wrap, Pro Image can design and/or print a design for you. Vinyl car warps transform an ordinary car into a rolling advertisement, with designs that are guaranteed to get your vehicle noticed, and most importantly generate business for your company. Vinyl wrap designs are limited only by your imagination. Wrapping your car in a custom vinyl is a great investment! It can even make your car payments because of the revenue you generate. Pro Image can design custom artwork for your signs, car, and can even apply stripes and lettering to law enforcement vehicles! 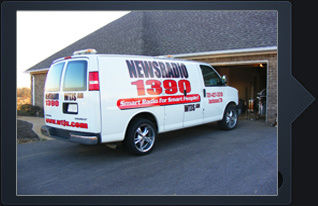 From simple lettering to complex entire vehicle wraps, Pro Image can handle your design needs. You will get one on one consultation to make sure that the job is done right and to your expectations. One of the many benefits that makes vehicle advertising so attractive is the actual cost involved to produce a wrap. With partial wraps and complete wraps, Pro Image has something for every business' budget. Vehicle advertising is by far the most cost effective way of exterior advertising. 90% of travellers notice graphics on wrapped vehicles. 75% of consumers form impressions about a company based on the fleet graphics. 30% of consumers base buying decisions on impressions they receive from wraps.